Decided to finally join in at My Creative Time's Designer Challenge Thursday. 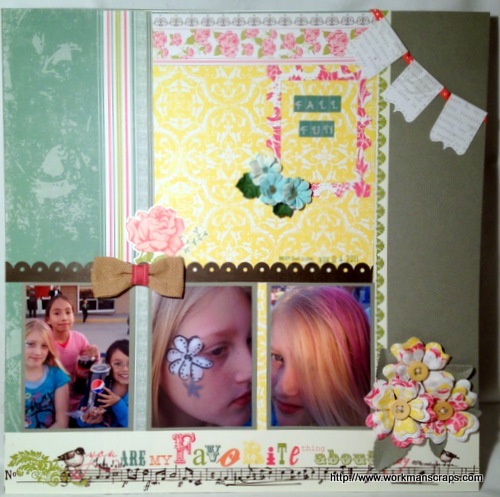 This challenge comes from Liz of Liz's Paper Loft. Her challenge: 1 bow, 2 pattern paper and 3 buttons. 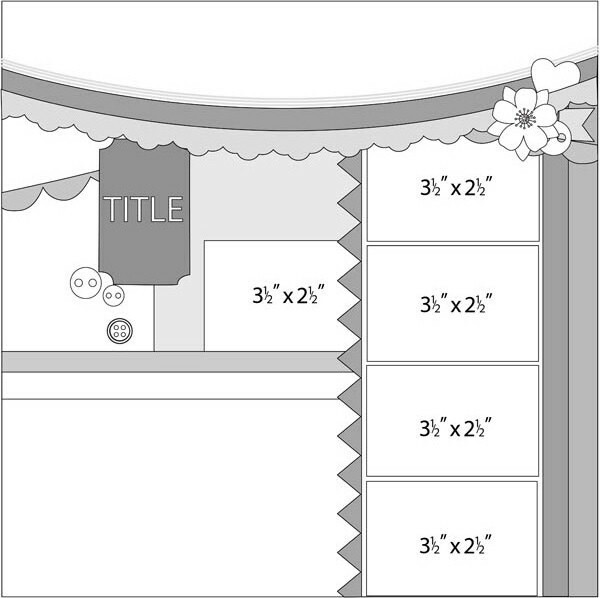 A few My Creative Time products: Build a Banner Kit, Stitched Postage Frame Die and Flower Petal Die. The leaves are Die-namics Royal Leaves from My Favorite Things. All pattern paper is from Echo Paper Co. Victoria Gardens collection. I based my layout on Sketchbook365: February Sketch Challenge, sketch by Yvonne Yam. Thank you for stopping in, hope you enjoyed today's layout. love love love your layout! just too pretty! thanks for playing with us at My Creative Time's Designer Challenge! Beautiful! I loveeeeeeee the colors and all the flowers!! Sweet layout! Great, vibrant colors and cute details! Great pictures, great layout. I have an idea for this map, thanks for sharing. Very pretty. Thank you for joining us at Sketchbook365. Fab layout - love the pretty details. TFS!